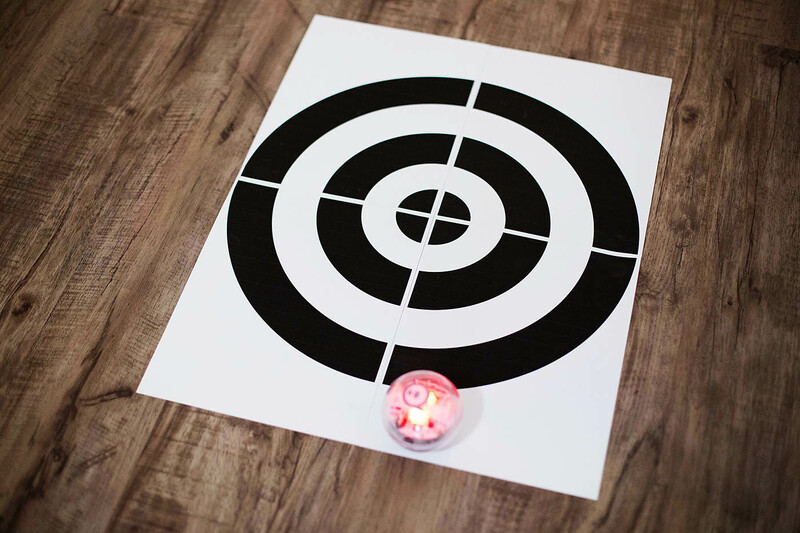 I shared some basic ideas using the new Sphero SPRK+ on the blog and in our first Facebook live video! 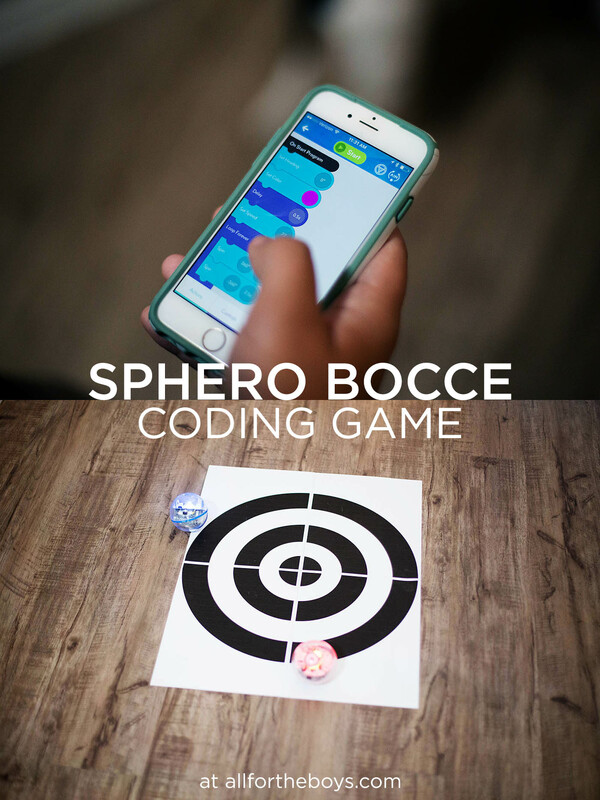 Today I wanted to share a coding game you can play with your Sphero(s). 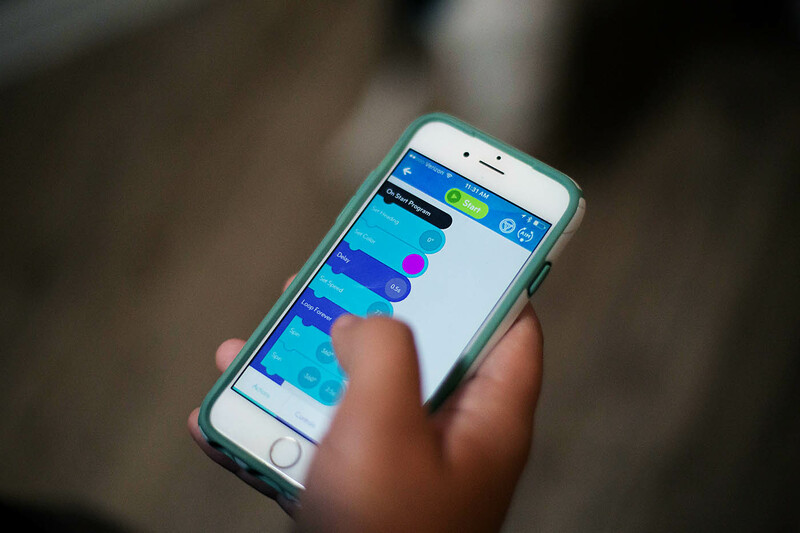 This game was inspired by one we saw in the SPRK Lightning Lab (though I didn’t save it and couldn’t find it on a quick search). The Lightning Lab has so many awesome ideas (programs and activities). We love scrolling through them to find things to do. For this game you’ll need a target. I made this printable which is 4 sheets of paper stapled together (I forgot to set my printer as being full bleed (no margins) but was fine with how this looked. You could always trim the margins if you printer prints them. Tape it to the ground for security. Mark off a starting point and then use the Lightning Lab to code everything from speed and stabilization to sounds and what happens on certain events (like “on collision” or “on landing”). 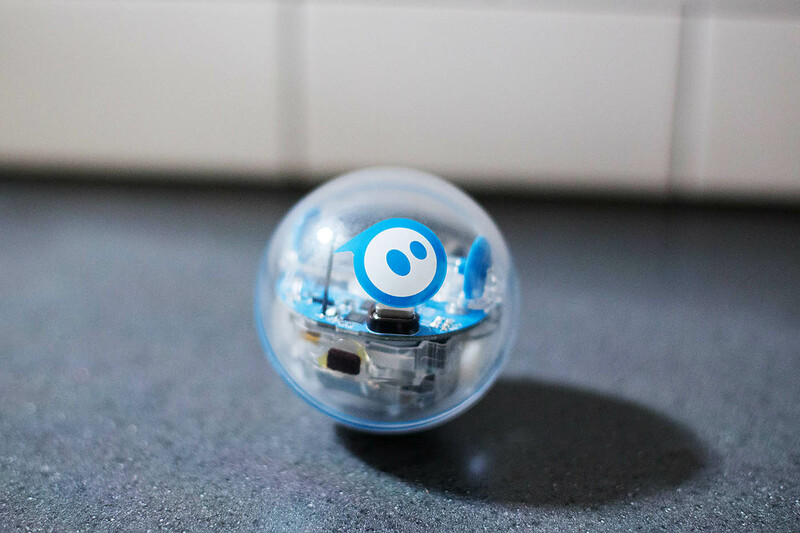 You just drag and drop actions, controls, operators, and more to tell your robot what to do. 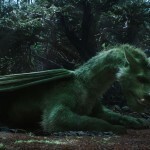 It is SO powerful but can be as basic as you need for your abilities. Here’s a peek at what the program looks like showing something the boys were playing with earlier. 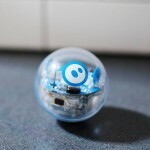 So the first person will code their Sphero to try and get him as close to the center as possible. 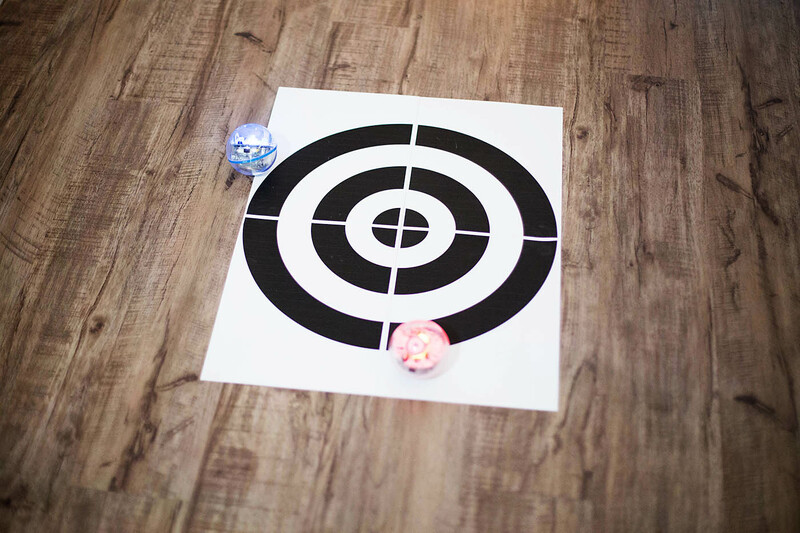 The next person will code their Sphero to get closer to the center or to knock the first Sphero out of the way in order to get closer to the center. 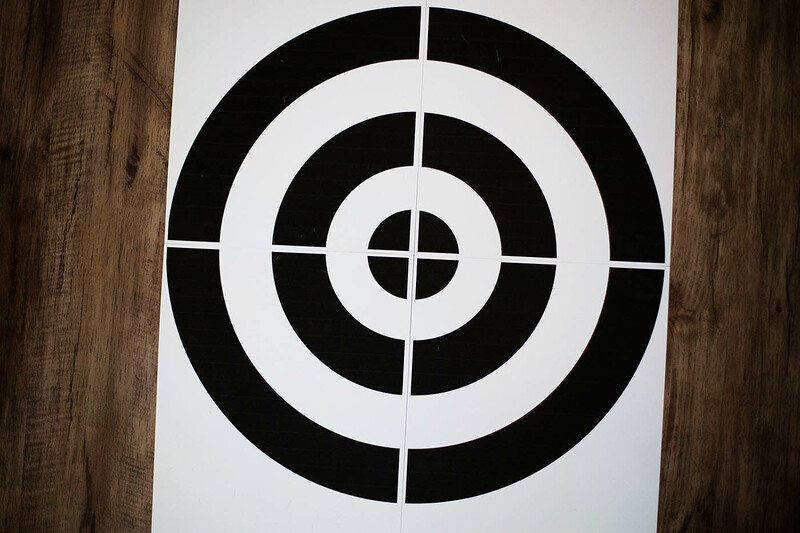 If you don’t have two just work on getting it into the bullseye. Once they’ve mastered that start spot, move around and add obstacles! So instead of going straight towards the bullseye you have to go around a box and through a tunnel (or whatever you can come up with).